HERAT -- President Ashraf Ghani has inaugurated the Lapis Lazuli Route in Herat Province, a move that will enable Afghanistan to transport its products to Europe. "One of the greatest obstacles to our goal, which is an export-oriented and connected Afghanistan, has been removed," Ghani said in a speech at the ceremony December 13 inaugurating the route in Herat. The route, which begins in Afghanistan, reaches Turkmenbashi, Turkmenistan, before connecting to Tbilisi, Georgia, via Baku, Azerbaijan. From Tbilisi the route continues to Kars and Istanbul, Turkey, and onward to Europe. "Afghanistan was isolated 17 years ago, and we had no routes connecting us with other countries," said Ghani. "Just four years ago, we were threatened by others who were saying, 'You won't even have bread to eat if we close this border or that border.' Today, however, Afghanistan is a connected country." Besides being a success for Afghanistan, the route connects all countries in the region, said Ghani. "The goal of the people, the government and the economy of Afghanistan is to be connected," he said. "We are a people of connection and not a people of withdrawal. We do not want isolation and separation. We want communication and co-operation." "The opening of this new route does not imply the closure of other routes connecting Afghanistan to South Asia," he said. "Quite the contrary," Ghani said, noting, "This second phase of the Lapis Lazuli Route will connect South Asia to Central Asia, the Caucasus and Europe." "The Lapis Lazuli Route has a history of 4,000 years," he said. "Historically, we were situated on an international crossroads. We used to be the hub of philosophy. Today we are not only the gateway to the Indian sub-continent but also the gateway to the Caucasus and Europe." Afghanistan will soon begin shipping its products to European markets, primarily through its two main ports: Aqina in Faryab Province and Turghandi in Herat Province. "God willing, the unparalleled grapes of Herat will reach Europe," said Ghani. "Herat's marble, which is unique in the world, will reach Italy and other parts of the world. 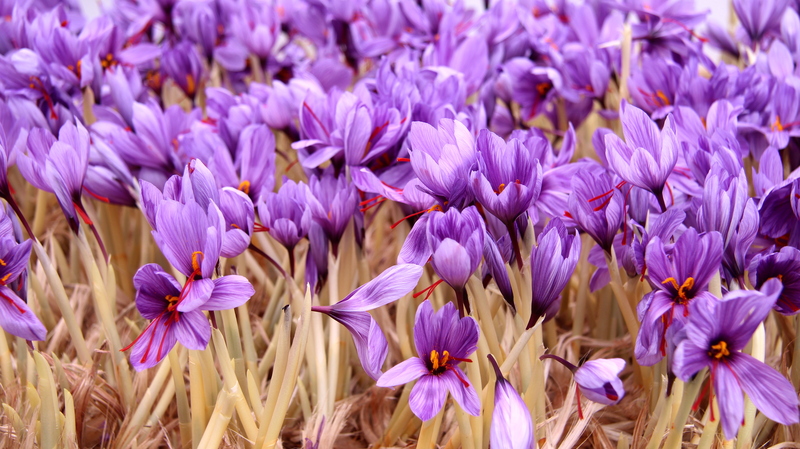 And Herat's saffron, which has won three times the title of the world's best saffron, will be exported everywhere as Afghan saffron," said Ghani. "This is just the beginning," he continued. "Kandahar's pomegranates, almonds from Samangan and Zabul, and products from all other Afghan provinces will reach the world markets. All the people of Afghanistan share this joyous moment." This is the first time that Afghanistan has gained direct access to European markets through the Lapis Lazuli Route. "This short route can prove to be very economical for goods coming to Afghanistan and to other countries through Afghanistan," Ahmad Ghani Khusrawi, a professor at Herat University, told Salaam Times. "In the past, we could hardly export Afghanistan's fresh fruit because we lacked a proper transportation route," he said. "The Lapis Lazuli Route is an alternative that can play a vital role in trade among countries in South Asia, Central Asia and Europe," Abdul Qadar Kamil, a Herat-based political analyst, told Salaam Times. "The route can play an important role in strengthening long-term partnerships." "The route can alter regional countries' perception of Afghanistan," he said, adding, "It creates hope that Afghanistan will become a suitable ground for attracting domestic and foreign investment." The route will significantly reduce transit time and cost, according to Kabul. An estimated 180 tonnes of Afghan products, including raisins, watermelon seeds, sesame seeds and silk, was exported in nine Afghan trucks during the route's inauguration, said Transportation Minister Mohammad Hamid Tahmasi at the December 13 ceremony in Herat. "These shipments are transported in the framework of the TIR [International Road Transports] system," he said, referring to the 1975 multilateral treaty that simplifies the bureaucratic formalities of the international road network. "Using the TIR system can help reduce transit time and cost while increasing the safety of goods and products," Tahmasi explained, adding, "In the coming months, the rate of export of goods along the Lapis Lazuli Route will increase." 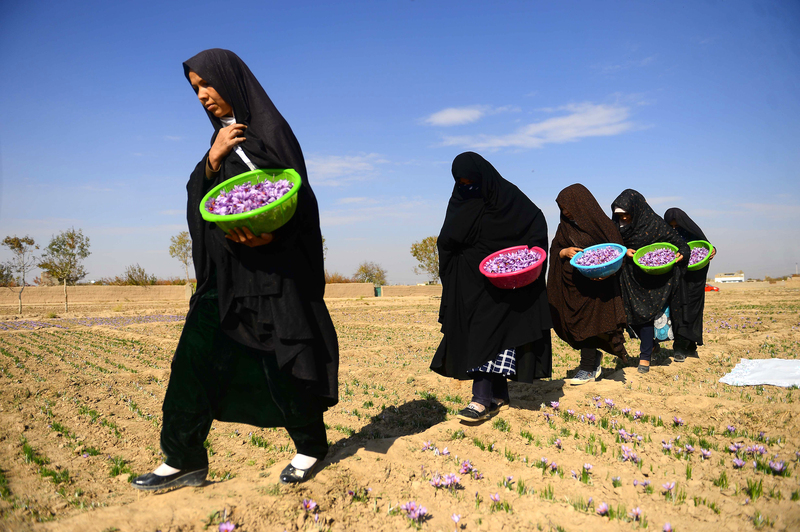 "Afghanistan is a landlocked country with a unique economic situation," Mohammad Yaqub Mashouf, a Herat-based economist, told Salaam Times. "Historically, we have had serious problems with our neighbours regarding access to maritime transportation, which has slowed the Afghan economy." The Lapis Lazuli Route could help boost Afghanistan's economy if the government can make proper use of it, Mashouf said. "The route can have a positive impact on the Afghan economy, especially on country's south-western regions." "The route will connect Afghanistan to Europe and help the country break out of its economic isolation," he added. "This is a good start for connecting Afghan exports to regional countries," Hamidullah Khadim, director of the Chamber of Industries and Mines in Herat, told Salaam Times. "Afghanistan has had some issues with countries that export to Afghanistan. Searching for and opening alternative routes are great steps in mitigating that problem," he said. "The opening of the route is a promising start." "The private sector views it as a great and logical measure, which we welcome," Khadim said. "In the past, we could not export our products and goods, primarily because of the lack of proper transit routes," Mohammad Usman Ansari, director of the Herat Exporters Union, told Salaam Times. "For instance, we had to sell our farmers' fresh fruit at incredibly low prices or even leave it to rot because of low demand locally." "The Lapis Lazuli Route helps transport our products to Central Asia, Turkey and Europe," he said. "We call on the government to spare no efforts in expanding the import and export process via the route."